1.Is Osmo Mobile able to hold any phone? 2.How to power on Osmo Mobile in my first use? 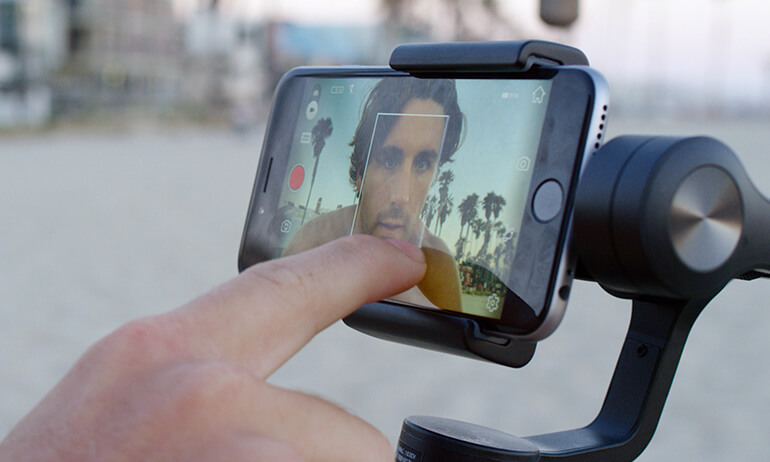 3.What is the hardware requirement of my phone when using the Osmo Mobile? 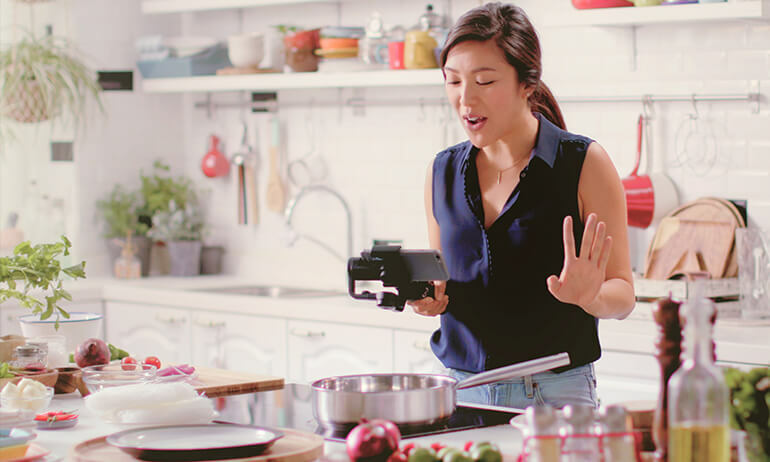 Osmo Mobile utilizes Bluetooth 4.0 to communicate with phones. Though Bluetooth 4.0 has become a standard for current phones, we suggest you to check compatibility by revisiting the specs sheet. 4.Can I use ActiveTrack in any operation mode i.e. Standard, Portrait, Underslung, and Flashlight? 5.Can I set the ActiveTrack speed? How fast can it move? 6.Is ActiveTrack compatible with all phones? 7.Does the different resolution of front and rear cameras affect ActiveTrack performance? 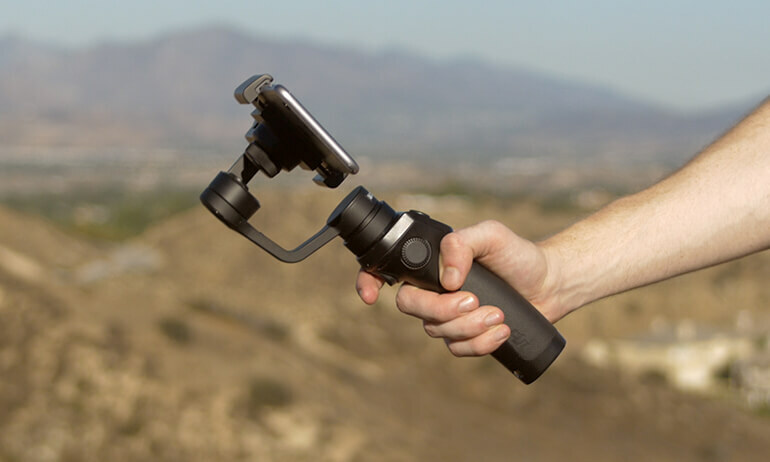 1.Can I add an external microphone to the 3.5mm port of the Osmo Mobile handle? 2.Are the Control Panel and trigger still the same as the Osmo? 3.Can I zoom when using Osmo Mobile? 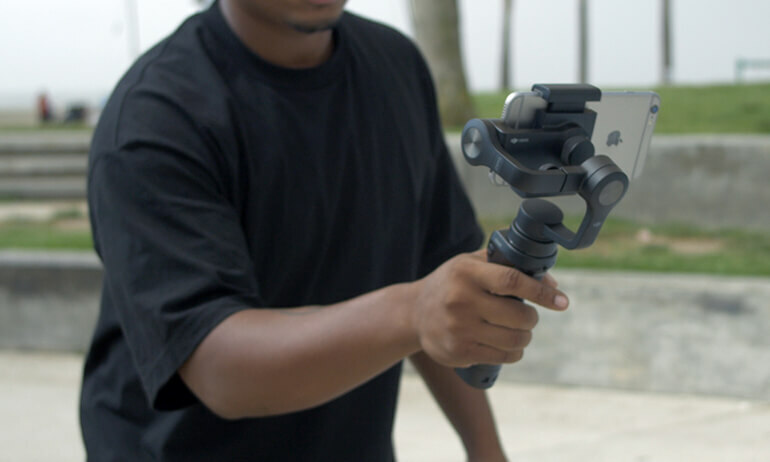 4.Can I replace the gimbal of the Osmo Mobile with a Zenmuse X3? 1.Can I control shutter speed and ISO etc. from my smartphone? 2.When recording video, can I record at whatever resolution I have set inside the DJI Go app? 3.Are the camera settings in the DJI GO app affecting the resolution of my phone’s video itself? 4.Is there anything inside the app that tells me how much storage space I have remaining for video on my phone? 5.Can I broadcast live videos through a third-party video platform? How? 6.What is the difference between Walk and Sport Mode? 7.Can I set the speed of the Joystick? Yes, you can choose and set slow, medium, and fast speeds in the app. 8.Should I turn on Tripod Mode when shooting timelapse videos? 9.Why is manual adjustment of metering, focus and zoom disabled when shooting motion timelapse videos? 10.How many points can I set when shooting motion timelapse videos? 11.What is Pitch Lock Mode? 12.Can I exit Portrait or Underslung mode using the DJI GO app? 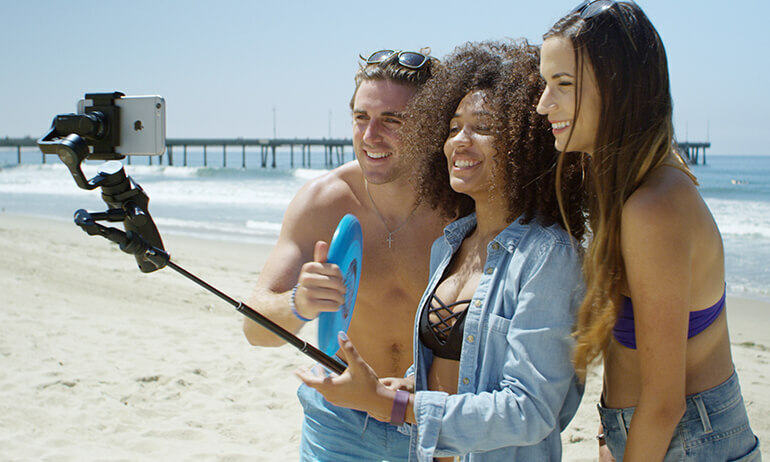 13.Where are photos and video captured by the Osmo Mobile stored? 14.Can I use Beautify for shooting photos and recording video? Yes. You can use it for both. However, it is only available for video recording at 720p. 15.Is Beautify available when shooting with front and rear cameras? 1.Is the Osmo Mobile using the original Osmo battery? How long are charge times and battery life? Yes. The Osmo Mobile uses the same battery as the original Osmo (980 mAh). A full charge requires 3 hours, and battery life varies between 3 and 4.5 hours. 2.What is the maximum charging current for the Osmo Mobile? 3.Is the Osmo Mobile compatible with Osmo’s High Capacity Battery and External Battery Extender? 4.Can I use the charging cable for other electronic products like my phone and computer? 5.Can other USB cables work with my Osmo Mobile? 1.Does the Osmo Mobile connect to my phone via Wi-Fi just like the Osmo? 2.How is Bluetooth connection better than Wi-Fi? 3.How do I know which device is mine when there are several Osmo Mobiles around my phone? 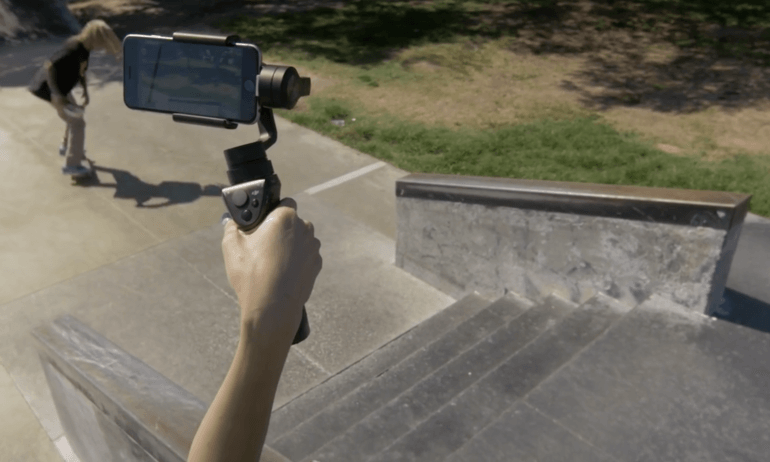 1.Does the Osmo Mobile support all Osmo accessories? 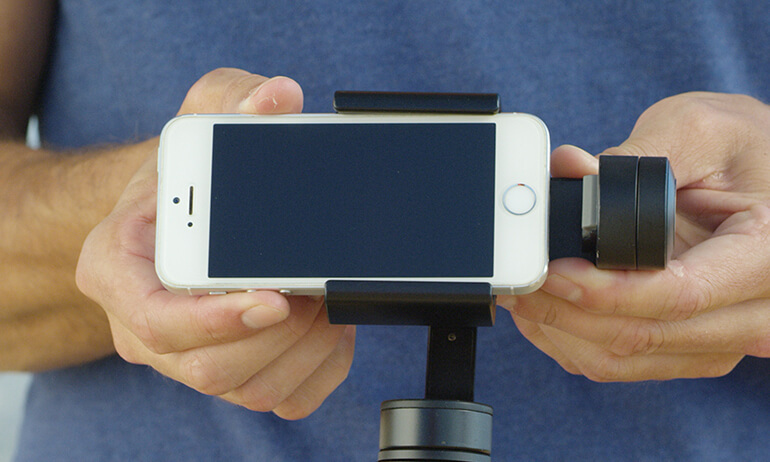 2.Can I attach an external lens to my phone when using Osmo Mobile? 1.Why are some features not available on Android systems? Will they be available later? 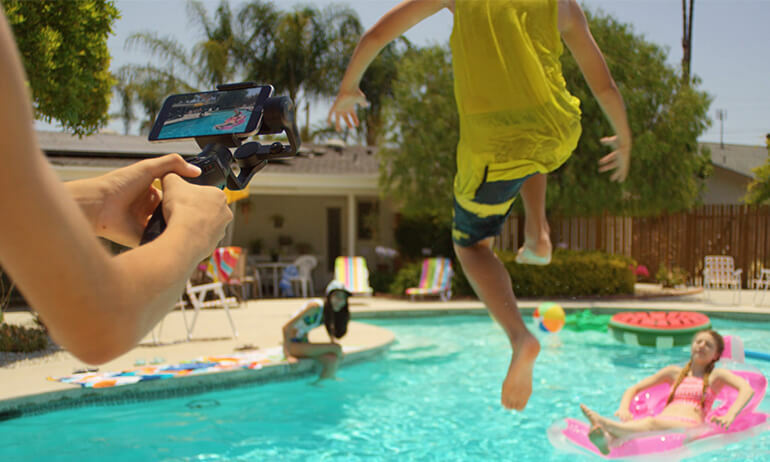 The shooting capabilities of the Osmo Mobile depend on what type of mobile phone system you use. 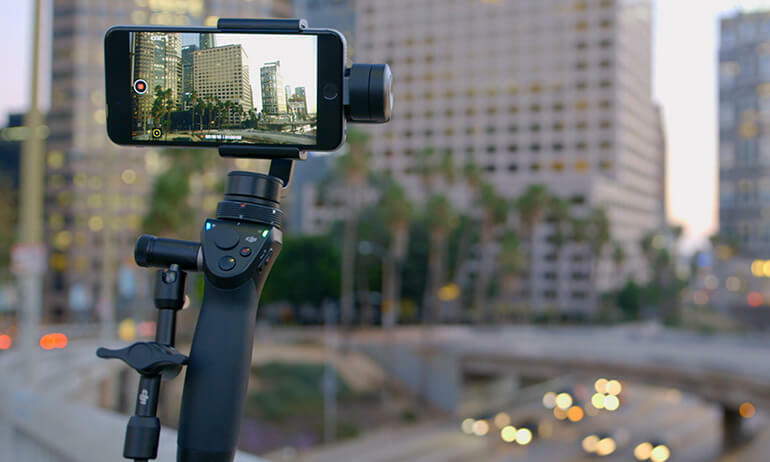 Consequently, Android users may not be able to use the fully optimized functions of the Osmo Mobile. 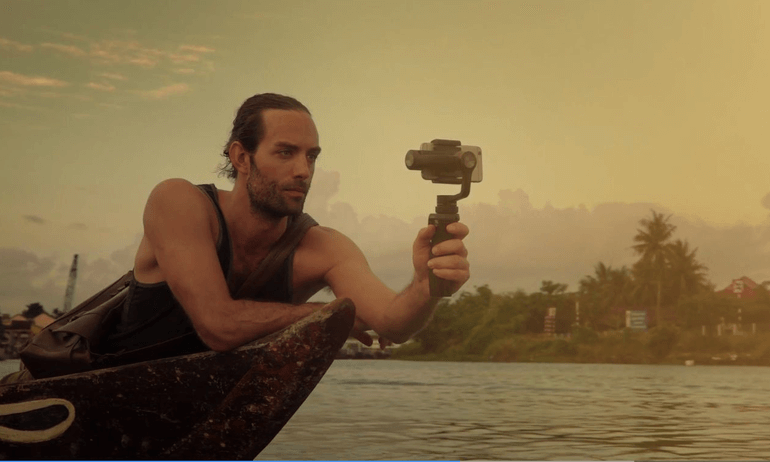 DJI is working with Android phone manufacturers to provide a better user experience to all Android users. Thank you for your patience and understanding. The Osmo Mobile is no longer in production. For the latest in DJI technology, please view our product recommendations below. 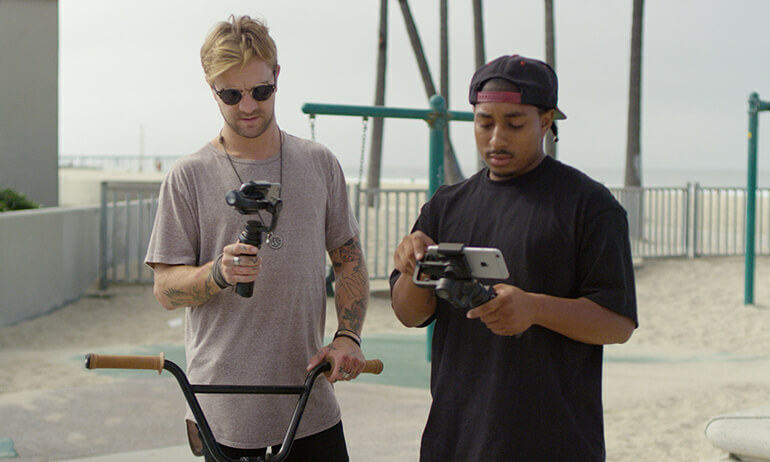 The Osmo Mobile 2 is a handheld smartphone gimbal made for every storyteller.